Those wooden chess pieces are sized 72 inch and made from original Teak wood. 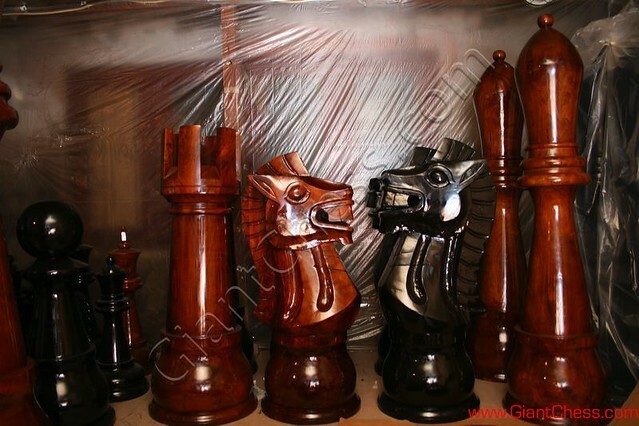 The chess pieces are carved by skilled craftsman who have experienced in international standart. So that, those chess pieces have guarantee for its beautiful carving and finishing. The picture has taken in our warehouse. Here we produced many chess pieces in vary sizes. The process are beginning from select raw material (Teak timber), make sure that the raw material has kiln-dried, carved it and finished it with perfect colors (gloosy or others color). Here we come, the 18 inch wooden chess piece! By its size, this kind of wooden chess often use for decoration need. The 18 inch size is perfect use for garden and backyard decoration. It has quiet height body but finished in beautiful carving. Do you collect unique handmade wooden crafts? Are you feel confuse about gifts for your friends or family? Try to make some different with some new wooden crafts called 'Big Dart'. This kind of wooden craft is new innovation craft which adapted from the Dart game. The big dart made from solid Teak wood material, so it durable for outdoor use. Besides can be used as decoration, big darts are also suitable for gifts. Unique and interesting is the hallmark of this craft and certainly the people around you will really like it. 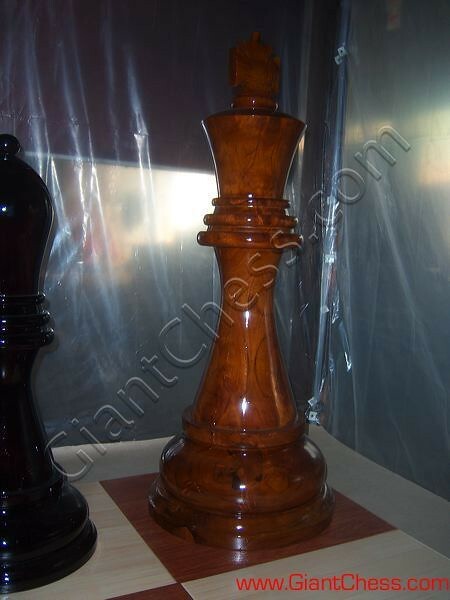 Giant chess pieces are made from selected Teak wood material which has dried kiln process before. 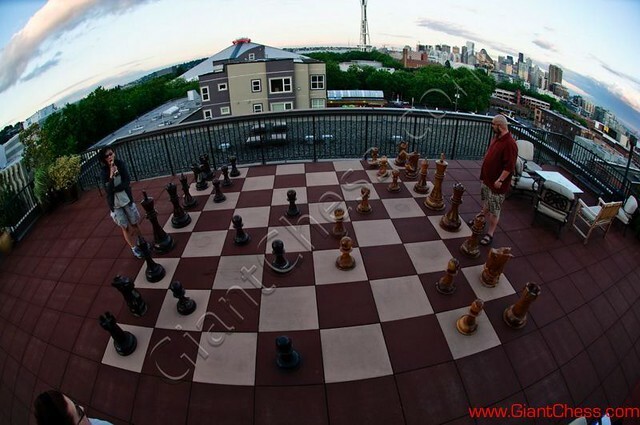 Its strongest wood make the giant chess products durable in any weathers and seasons. 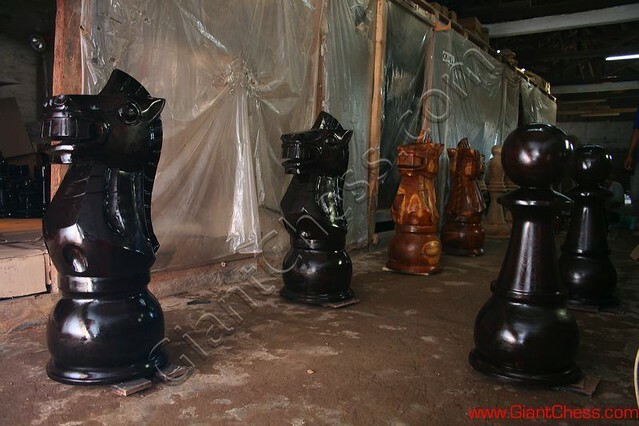 Giant chess pieces are also prepared for outdoor use so that the craftsmen use the best polish. 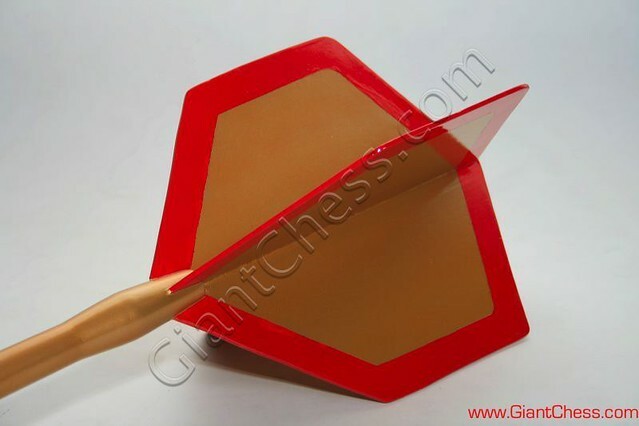 You can use the giant chess products for your house decoration, special occasion in your office, hotels, garden, villa, beach, and other outdoor events. Meanwhile, its strongest wood make it durable in any weathers and seasons. Try it now! See how beautiful the large chess pieces were arranged neatly on a large chess board as well. 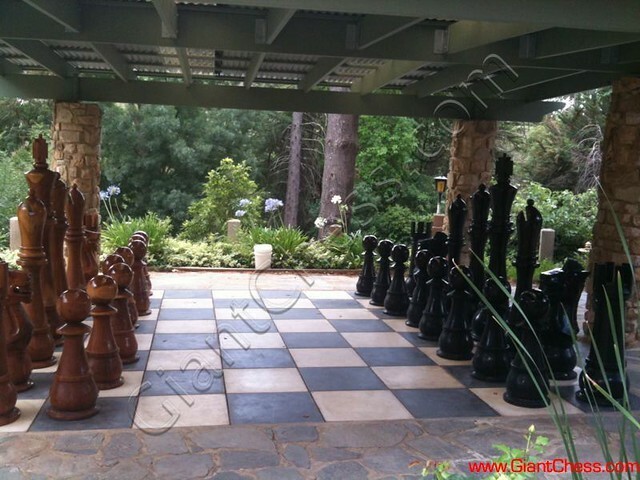 Large chess pieces are very suitable to be placed outside the room as an outdoor chess game or house decoration use. This is because the large chess pieces do require a fairly large area. Currently, large chess pieces stood at Camelot Castle to change the relaxed atmosphere here. With this great chess, you can see how magnificent the Camelot Castle which has a completely unique objects. 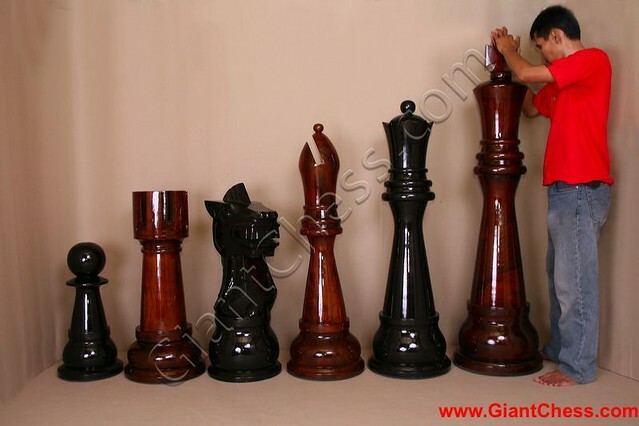 Due to the large chess pieces using high quality teak wood, then you do not have to worry about damaged because the chess pieces had been prepared in such a way for outdoor use. Dart is such American game which often played by all ages. This game is can played indoor and outdoor. It just need the dart pieces and dart board to play this game. It simple game but difficult enough. The dart piece is one of the unique one. You'll never imagine that this piece can designed in big size and use for decoration need. From the simple game, change into unique decoration. And based on its size, you able to use it for outdoor decoration need. It will make your garden and patio looks more attractive.